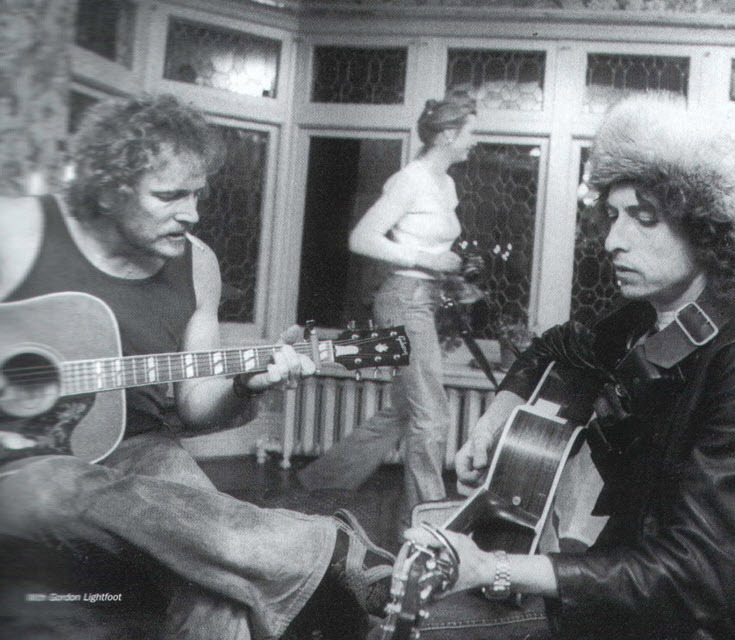 Bob Dylan, Joan Baez, Roger Mcguinn, joni Mitchell, etc..
Strangely enough, both are rich in contrast. Lightfoot is (almost) always true to his original versions, no matter how often he has performed over and over the years ……. whereas Dylan is (almost) always never the same in covering his own, (almost) always surpassing himself, depending on how he is feeling over and over the times – a living proof that change is always taking place, yet you can remain truly unchanged to yourself. I’m not sure if Lightfoot travels outside of North America, but we know Dylan travels everywhere. One thing common to both may be their loyalty to the stage, which in turn, earns them our loyalty to their shows.